I used to have amazing ideas about what kind of Mom I would be. You know, the one whose house is always organized, whose meals are always picture-perfect, and whose kids always cooperate. I cooked my first Thanksgiving dinner. In a real kitchen, with real messes, and very real feelings of impatience. So… I’m not THAT Mom after all. Actually, I’m the Mom who sometimes wonders how in the world I’m going to pull off the holidays without turning into the Grinch! Please say that you relate. Honestly, sometimes the long “to do” list can sort of squeeze the mirth right out of the season. Especially when all the extra cooking translates into more work, and more messes to clean up. 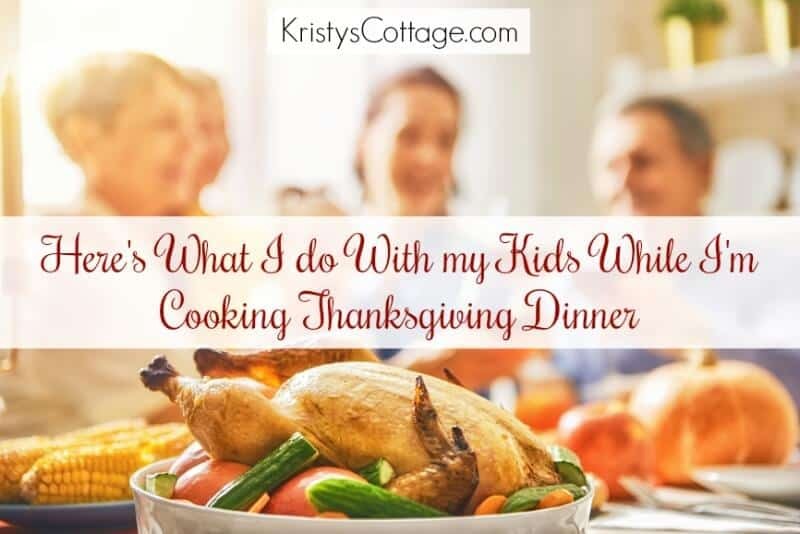 And then there’s the really big question… What do I do with my kids while I’m making Thanksgiving dinner?! Let me add… Jeremy and I have always lived far away from our family, so dropping the kids off at Grandma’s for a few days (or even a few hours) isn’t really an option. We’ve always had to sort of be our own support system as parents. I’m a grand list-maker, so this is definitely my thing! Having a master list for my Thanksgiving menu (we’ll get to that in a minute) saves a lot of time, since I don’t usually have to run to the grocery store for a missing ingredient at the last minute. I also try to keep healthy-ish snacks on hand for the meals leading up to our Thanksgiving dinner. Unfortunately, my husband and kids think they need to eat supper and breakfast before Thanksgiving dinner rolls around! Come to think of it, all those delicious smells provoke my appetite too! I try to keep sliced cheese, lunch meat, crackers, dips, veggie sticks, and other “easy” food on hand to keep everyone’s tummies satisfied while I’m busy prepping and cooking. I especially did this when our kids were younger. Trying to pull off a Pinterest-worthy Thanksgiving dinner when you’re pregnant, or have a baby, is for the birds! Trust me on this one. My festive paper goods, menu, and grocery list… I feel more focused and prepared when I know I’ve simplified and prepped for the big day. 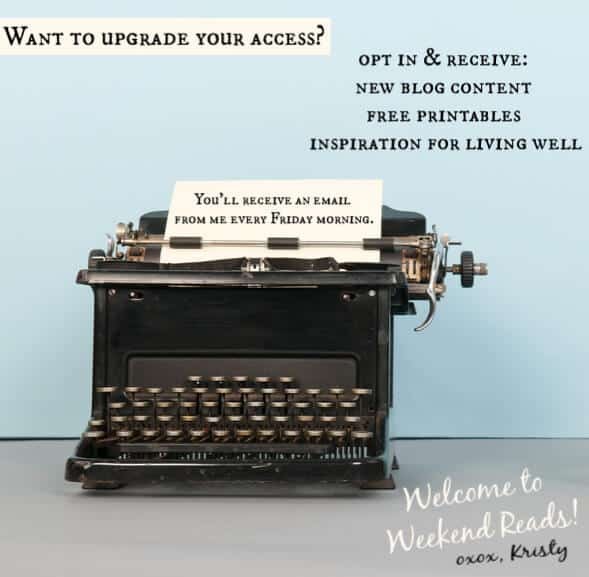 Another really important part of simplifying for a homeschool family is to give yourself a break at the holidays. 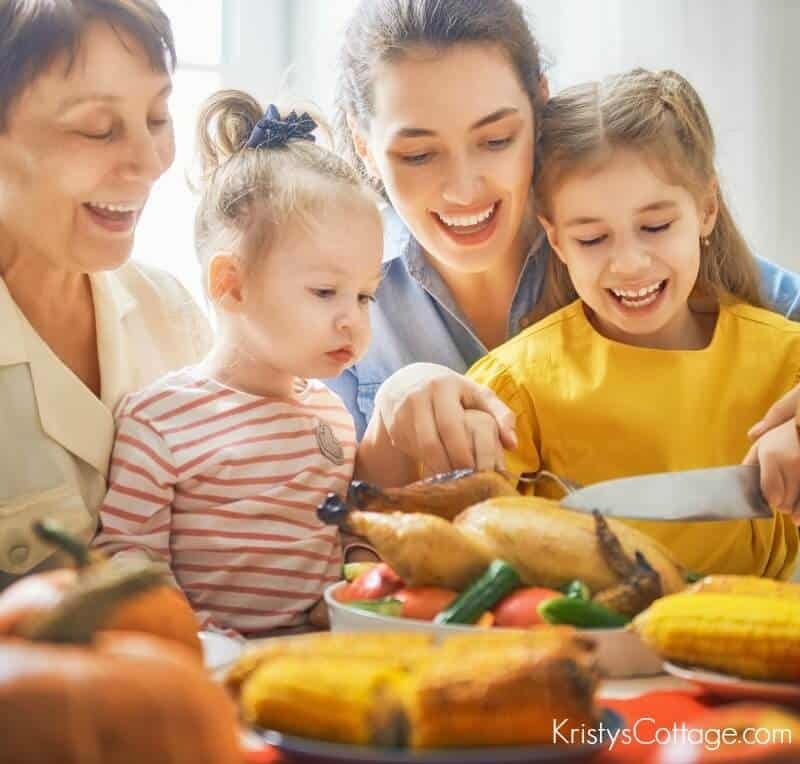 Our family takes about six weeks off from school at Thanksgiving and Christmas, but you can decide what works best for your family. But do take a break! Some years, and some seasons, feel especially challenging. All these things can pile in on us during such a busy time of year! If you’re in one of those hard seasons, give yourself some grace and simplify. This is really the main point of this post, right? And right here, I’m tempted to be all fancy pretend that I merrily work in the kitchen while my five adoring children assist me with aprons, wooden spoons, and willing smiles. That isn’t quite the case at our house. The truth is, only one of my daughters really likes to do much in the kitchen. Two of my little boys love to get in the middle of anything I do in the kitchen, and the other slightly older boy prefers to snitch “tastes” every few minutes. As for me? I have the patience of a marine. So yeah. There you go! This is pretty much the same menu we enjoy for our family Christmas dinner too. I thaw the turkey (or ham, depending on which meat we’re eating). Bake any pies or desserts that are on the menu (my sister, Julie, is an amazing pie-maker and my daughter, Emily, loves to help me bake). 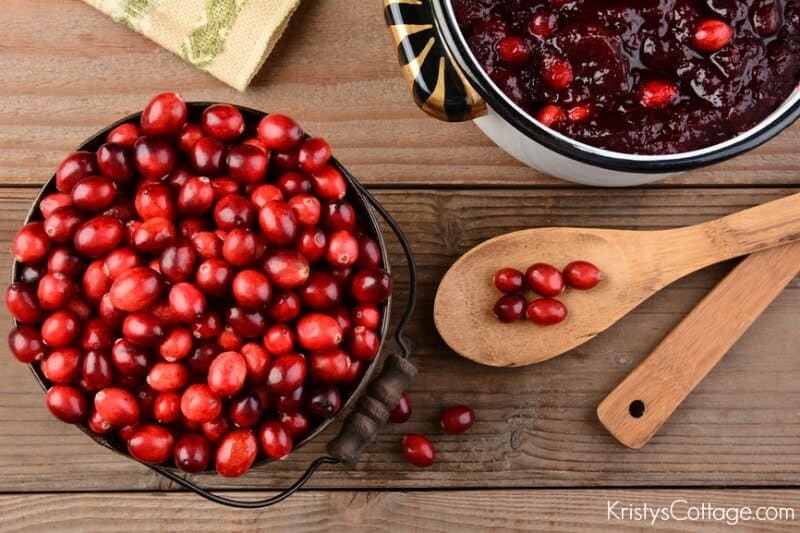 Make the homemade cranberry sauce! This is one fun cooking activity that all five of my kids enjoy. Make MeMe’s broccoli or pea salad (so it can chill in the fridge over night). By the time my boys start wandering downstairs for breakfast, the delicious aromas in the kitchen are pretty amazing! We have a super simple breakfast (cereal, yogurt, or Cliff bars) while I finish up lunch details. We might turn on a holiday movie on Netflix, or pull out coloring pages (like the ones in this Thanksgiving printable). 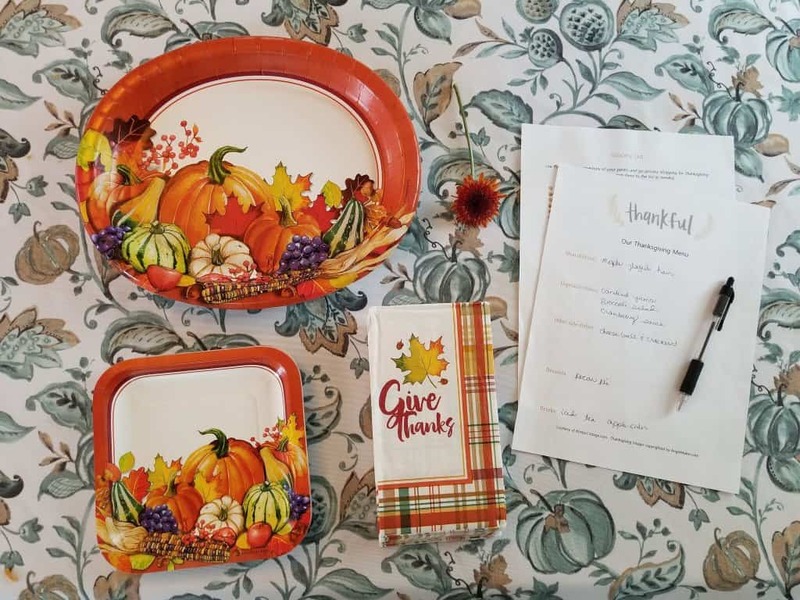 Around noon, my girls set the table for our special dinner… typically with our Pioneer Woman dishes, or at least festive paper plates, a pretty autumn centerpiece, and candles. We like to share things we’re thankful for, maybe grab a conversation starter or take turns sharing something God has done for us during the year. The holidays are a fun, busy, and sometimes challenging time of togetherness as a family. 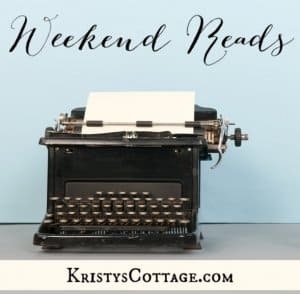 Planning ahead, anticipating needs, and making an effort to be as patient as possible with imperfections all go a really long way in making a full day enjoyable for everyone. What is your biggest challenge as a mom at the holidays? Do you have a tip to share with another mom?